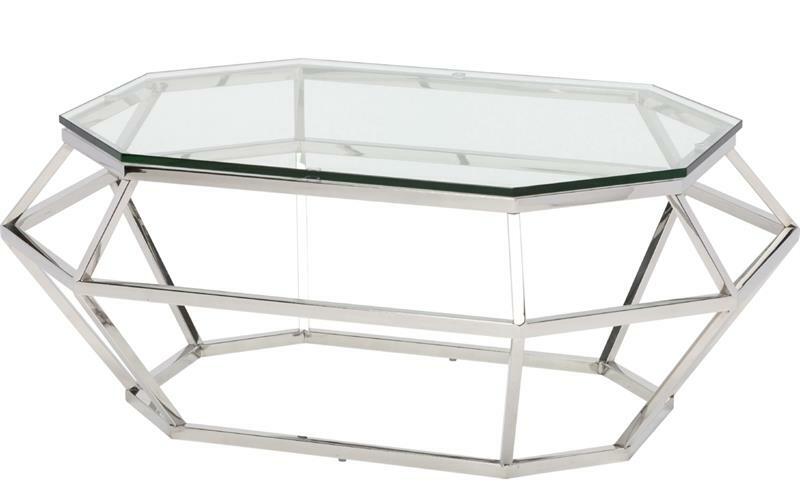 Fashioned with a gleaming stainless steel base and clear glass top, Diamond Rectangular Coffee Table makes a perfect addition to a variety of home décor schemes. 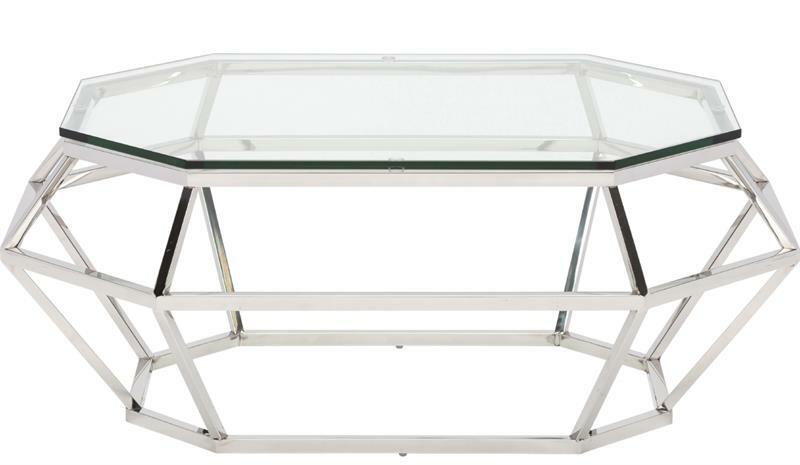 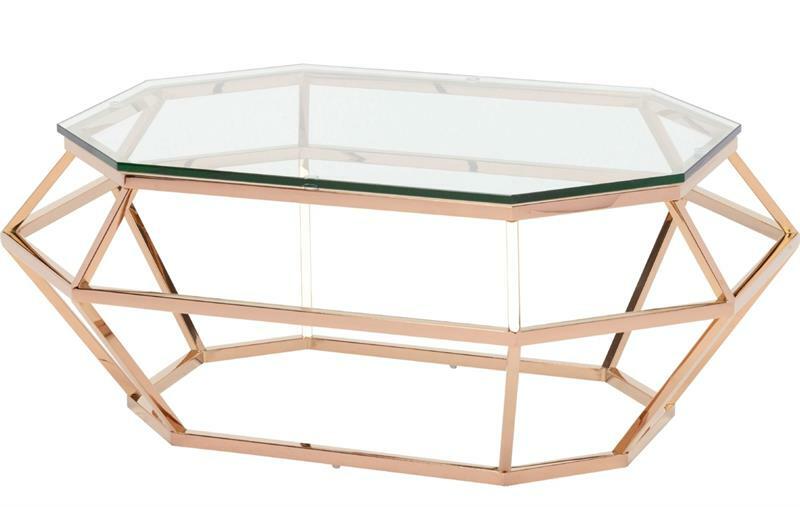 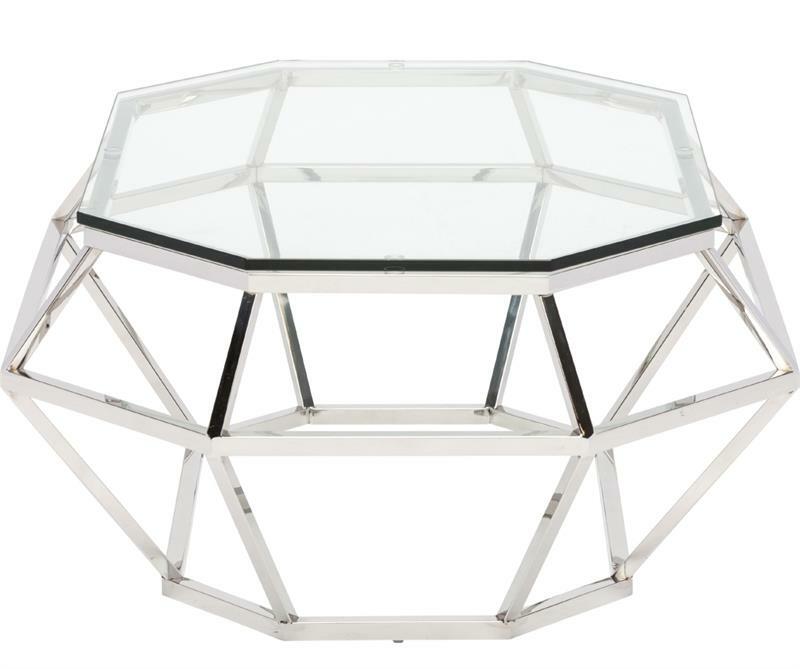 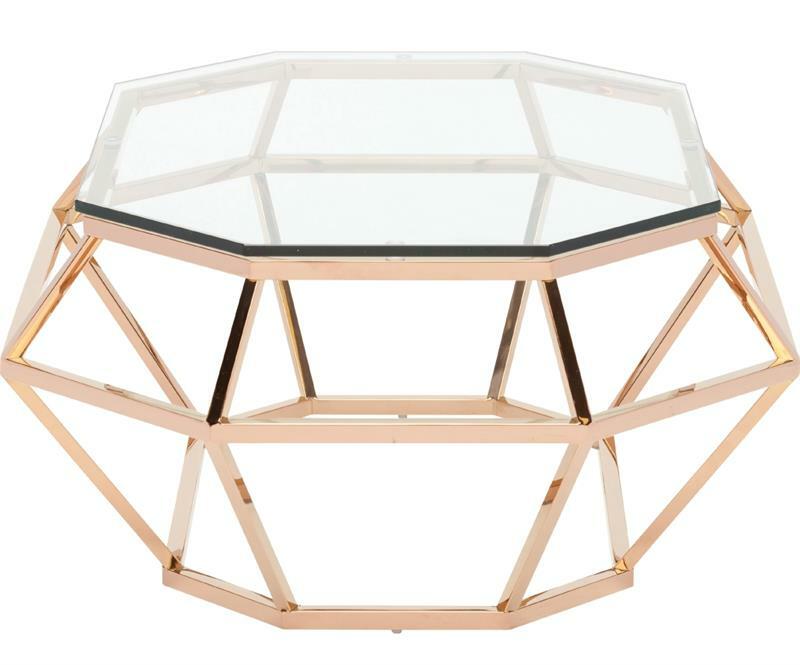 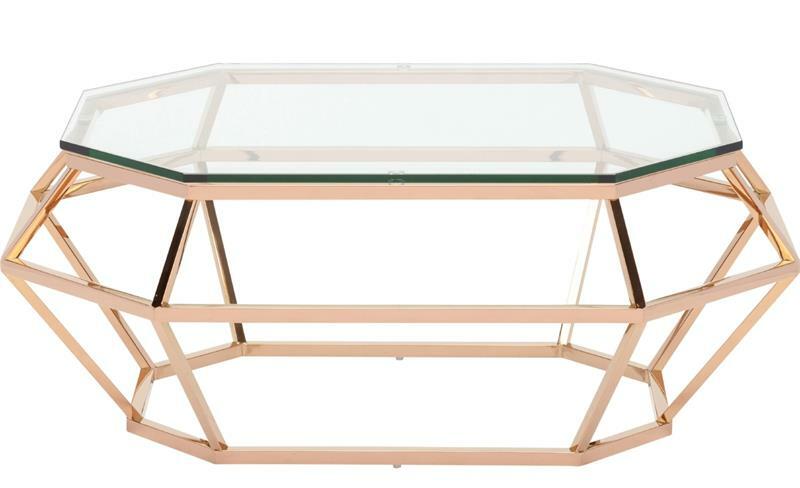 The Diamond rectangular coffee table is available in polished stainless steel and rose gold base finish - choose the best option to compliment your décor. 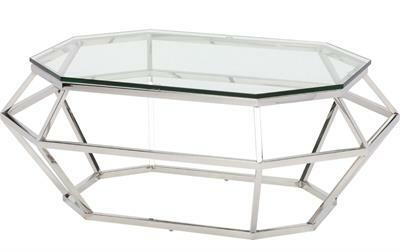 • Tabletop glass thickness: 3/8"